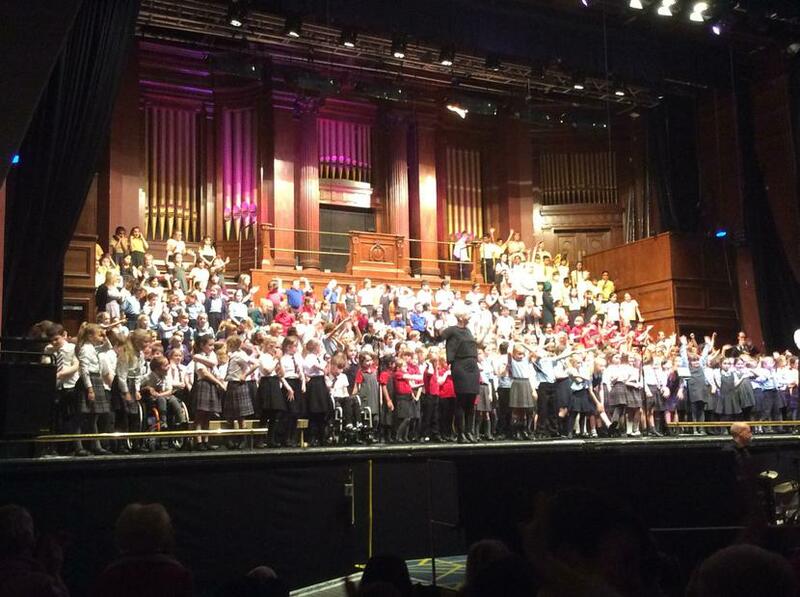 Our very talented junior children performed at the Sing Together Concert, King George's Hall. Children sang a range of entertaining songs from the Rattle Snake Sake to A Curious Tale, in different keys and they even accompanied one song with sign language! The audience joined in with dance moves and held up the flashlight on their mobile phones. All the children thoroughly enjoyed it, even those who were a little apprehensive before the day. Well done, to all our children, we are all proud of you!